Make sure you have a clean apartment, have the table ready to go with the carving utensils, cutting boards, picnic cloth (optional), and bowls. Buy the fruit. You can do this on your own before the date or do it together. Remember to buy TWO of everything. Go back to your apartment. Have fun carving the fruit! I usually save the watermelon for last because it’s a bigger project that the two of you can work on together. It is also the messiest project. Chop up the fruit and make smoothies. Clean up and take your date home. Watermelon, bananas, apples, mangoes, etc. Broulims, Walmart, Albertsons, Farmer’s Market, etc. 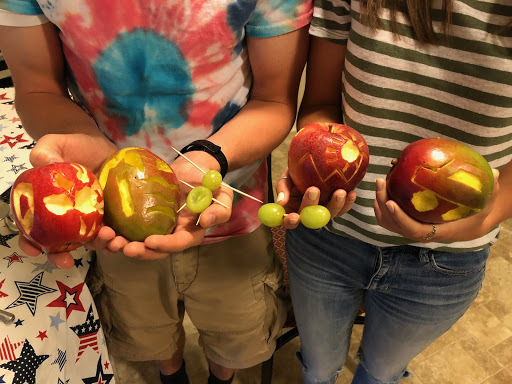 Go to the store together to pick out the type of fruit to carve. You could choose what the other person carves. You could choose famous painting to carve. You two could make it a competition. 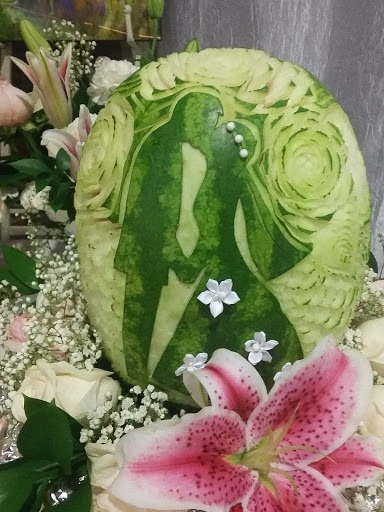 You could try to carve a story into your fruit. This is one of my favorite dates. It’s unique, creative, inexpensive, and pretty easy. Ideally, you’ll have a clean kitchen, the table, carving utensils, cutting boards, big metal bowls, and picnic cloth (optional) all ready to go. I usually put on some light background music and then just talk to my date while we carve. With all of the good fruit scraps, remember to set them aside in the bowls to put into the smoothies. After you finish carving I usually take pictures of our carvings for a fun memory to look back on. Then we normally chop up our fruit, put it into the blender (with the other good fruit scraps and anything else we want to put into the smoothies) and make smoothies!